When we talk about living mindfully, what do we really mean? For many of us who practice mindfulness exercises and engage in mindfulness meditation, our aim is to reduce anxiety, alleviate stress, and bring a greater sense of peace and tranquility to our lives. However, increased mindfulness by its very nature brings with it increased awareness — both of ourselves, and of those around us. As we sometimes discover when we become more aware of what’s going on inside of it, this heightened clarity isn’t always comfortable. In fact, we sometimes find ourselves responding with anxiety to our new level of awareness. 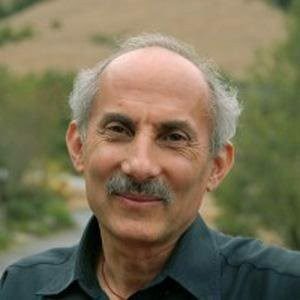 Jack Kornfield is an American author and Buddhist teacher. As a Theravada Buddhist practitioner, Jack was trained in India, Burma, and Thailand under a number of renowned Buddhist masters. He has been teaching meditation around the world since 1974, and co-founded the Insight MEditation Society in Barre, Massachusetts in 1975. He continues to lead mindfulness teacher trainings around the world. As we develop greater mindfulness through the practice of meditation, we are sometimes forced to grapple with aspects of ourselves with which we’re uncomfortable. As our awareness of ourselves grows, we may find ourselves having trouble with intimacy. Being present involves an intimate experience, and being intimate with others — truly intimate with them — requires us being fully present. When we’re wholly present with another person, the sheer force of the intimate experience can be jarring. The attachments that lead to suffering are brought into sharp focus. We fear the loss of intimacy with the other person. We fear the potential that they might reject us. Sometimes, we may even fear the intimate experience itself. In this mindfulness talk, Jack Kornfield discusses how to navigate intimacy as we develop greater mindfulness and self-awareness.